Engage your customers by presenting news, videos, ads, regional CSI Scores, and promotions. 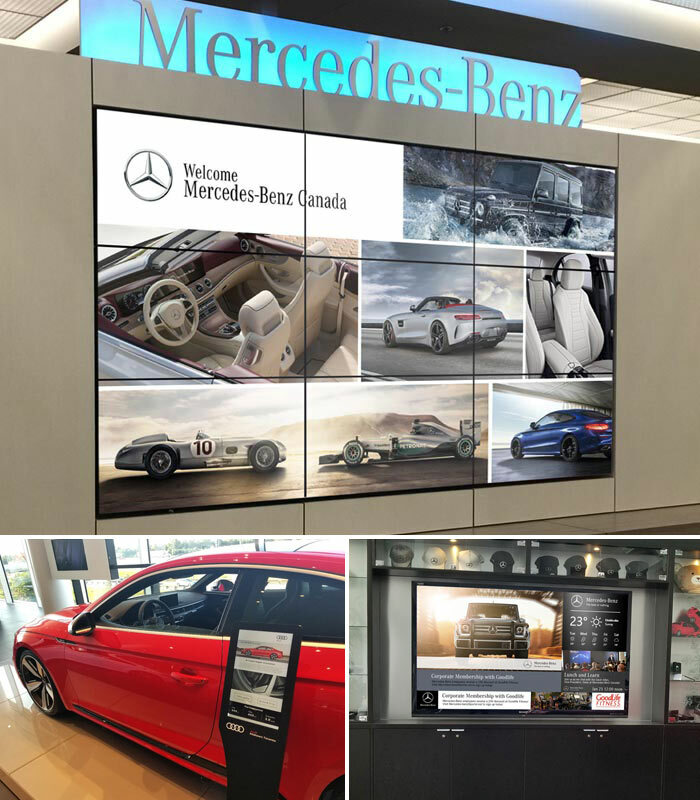 Use digital signage to engage and empower customers to browse New Vehicle features, options, colors, and promotions or to showcase and show off your CSI Rankings. Increase your $ per RO by visually offering the service package that increases your bottom line. Draw attention to your ever-changing promotions, sales, quick lube lane status, or sales on tires or parts. Speak to your internal stakeholders about news, events, job postings, promotions, OEM info/campaigns and CSI Score status in your region. 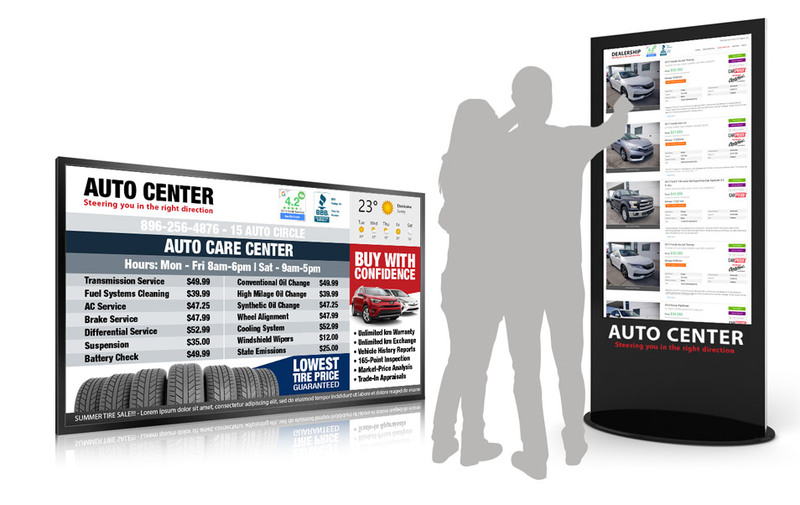 Instantly capture the attention of your customers and give your dealership a modern look and feel. Create a personal interaction with your brand. 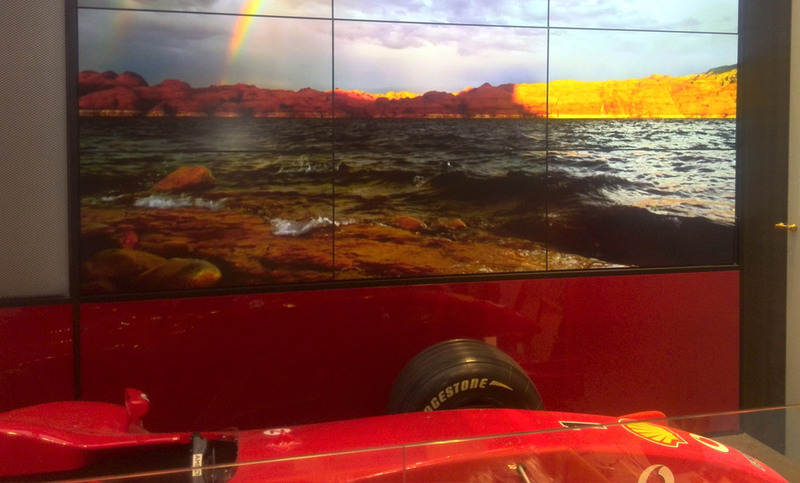 From video walls to standalone product screen displays, MediaTile can create and manage your ever-changing content. You have the power to update or change the content with the push of a button on your mobile device or computer. 54% of consumers would buy from a dealership that offers their preferred experience, even if it didn’t have the lowest price. 72% would visit dealerships more often if the buying process was improved. As our vehicles are changing, so are buyers. Therefore, dealerships need to stay on top of what the buyer is doing. Customers continue to look at different avenues of connecting with dealerships – websites, social media, online feedback, friends and family, and ultimately visiting your location. Getting their attention at every touchpoint is critical to effectively engaging with them.